When pricing government contracts, in particular service contracts, the small business will encounter government wage determinations under the Service Contract Act and Davis-Bacon Act. These determinations specify the minimum wages and related benefits that must be paid to all hourly employees charging time directly to a federal service contract as part of a total compensation plan. 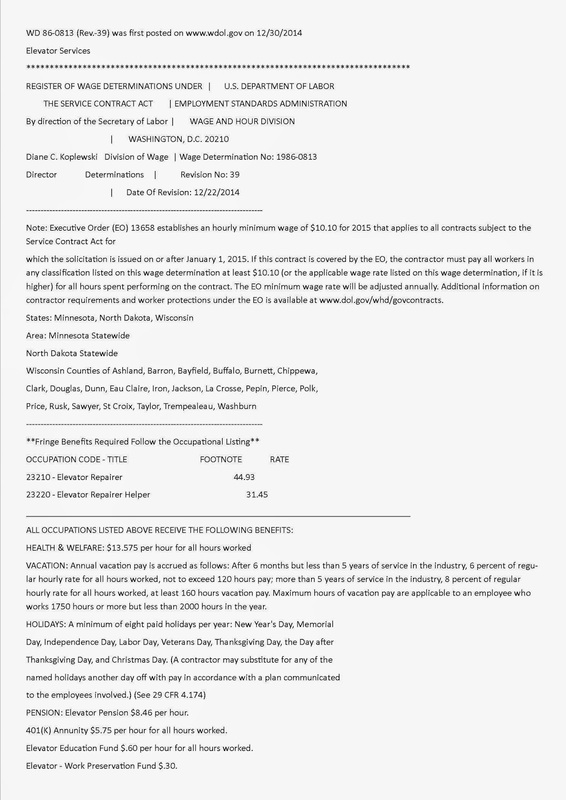 The Department of Labor Manages the Wage Determination program. Contractor compliance with Wage Determinations is subject to audit by the Department of Labor, Defense Contract Audit Agency, or other agency audit procedures. Failure to prove compliance may subject the contractor to debarment from all government contracts for up to three years. When bidding a service contract with a requirement containing a Wage Determination, the labor category wages and fringe must conform, as a minimum,to the Wage Determination in the government Request for Proposal (RFP). The personnel must be paid not less than the wages and fringe benefits specified in the determination when the contract is awarded. 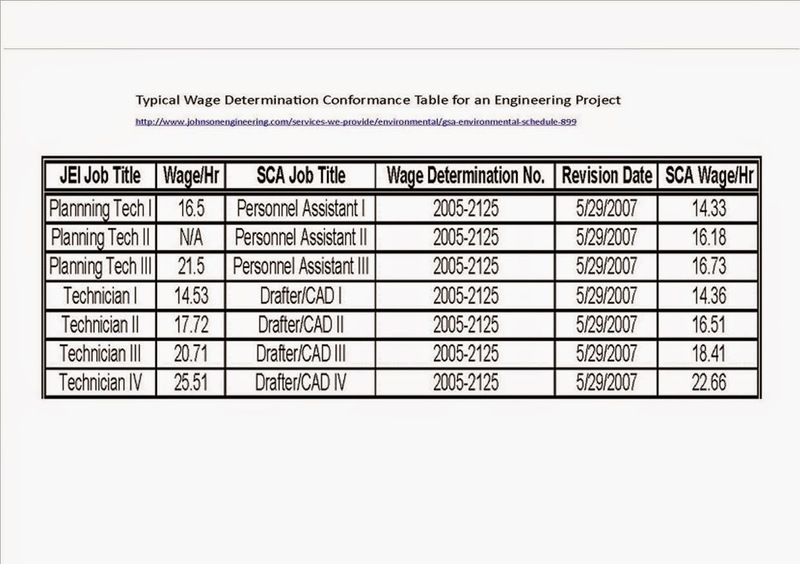 The Fringe element of the Wage Determination conformance is usually discussed in the basis of estimate for the fringe rate in the price proposal. A major project in a given location may impact on the company wide-fringe rate if existing fringes in the company do not meet the minimum requirement for the wage determination in the area being bid. This can be a deciding factor in a bid/no bid decision on a prospective project. 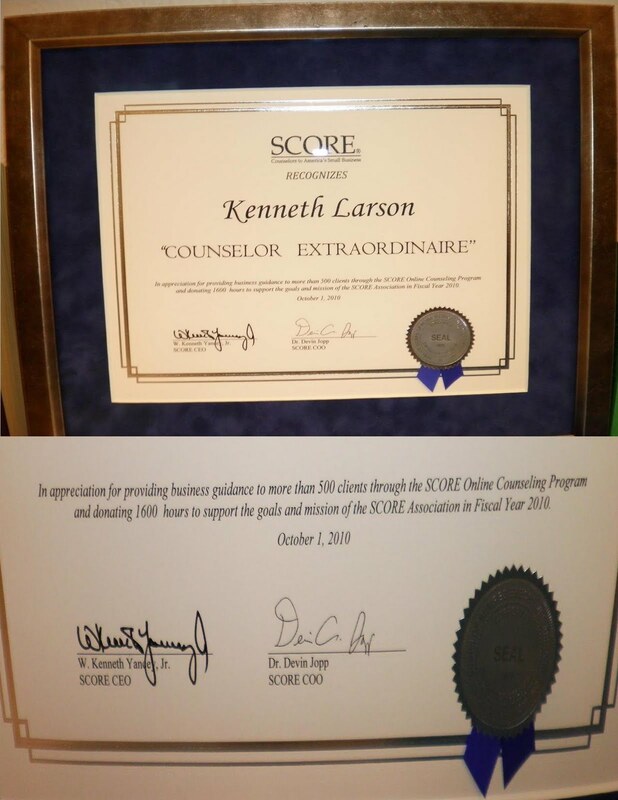 When conforming a labor category to a government wage determination, the title of the company job need not be identical to that to which the government wage determination refers, but the company job description must be made available to an auditor for compliance mapping purposed; i.e. the role of the individual and the scope of his or her job description must very closely match the government documents. It is best to use existing company labor categories and descriptions and work any exceptions during the conformance process, conveying the results in the form of a table similar to the above in your proposal. 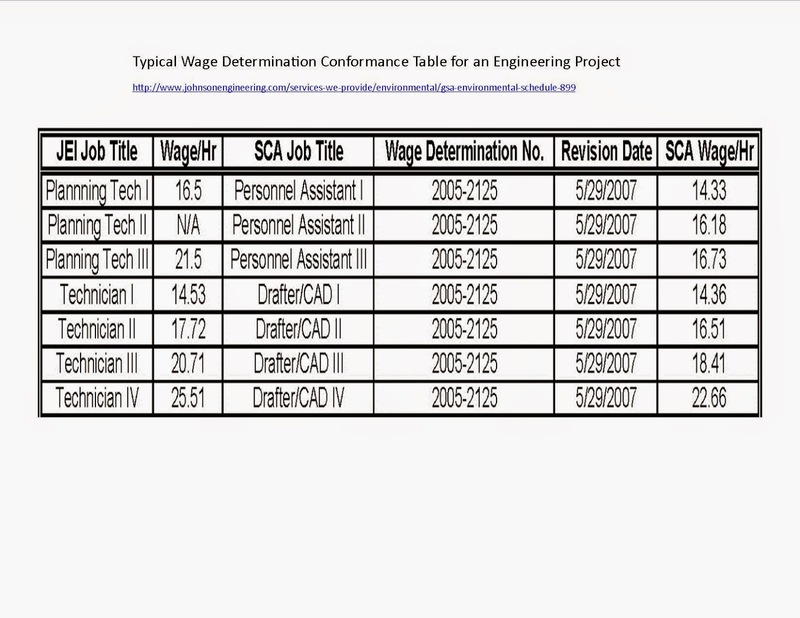 If a particular wage determination selected by the contracting officer in the RFP appears to be vastly out of sync with the scope of work in the prospective contract, it is best to bring this to the government's attention in the form of a question or a suggestion for improvement during the Q&A or draft RFP comments phase of the bid process. But remember, your question, its answer and any action taken by the CO will be made available to all competitors. In many instances competitive labor rates, and in some cases benefits as well, will be higher than those specified in the government wage determination. Wage determination updates by the government often lag rapidly changing technical labor markets and area economic trends. Evaluate your initial GSA Schedule and renewals against area wage determinations, since the government may choose to buy off your schedule or you may choose to use your GSA Schedule rates to bid a procurement where a wage determination applies. Demographics in your company may play a role. Accumulation of labor cost history driving a pay rate in one geographic location of a company for a given labor category may not meet government wage determinations if that category is used in another geographic area with a different area wage determination in a substantially different labor market. Many larger firms maintain standard rates across multiple geographic locations to deal with this factor. Regularly review your company labor category rates and fringe benefits for ongoing compliance with DOL Area Wage Determinations. 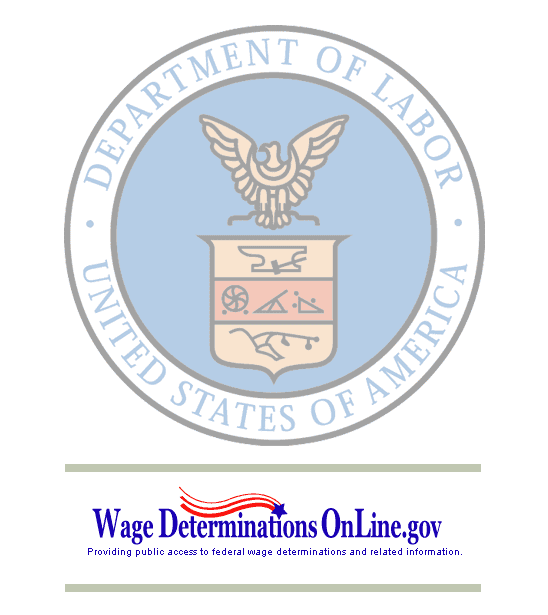 Sample the DOL Wage Determination web site regularly as a normal function of maintaining your labor rates and fringe benefits costs.